T-Mobile is celebrating the first day of spring with a new iPhone deal. 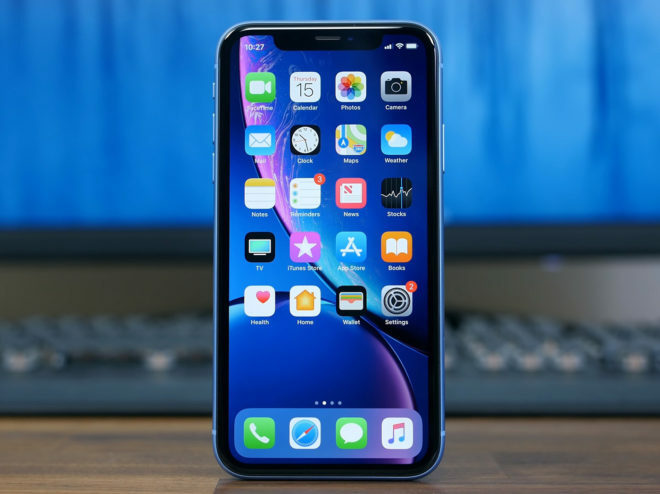 Starting today, March 20th, T-Mobile is offering a free iPhone XR or iPhone X to customers who trade in an eligible device and add a new line of service. If you’d prefer an iPhone XS or iPhone XS Max, you can get up to $750 off one of those models instead of a free XR or X. To get this limited time deal, you’ll need to purchase a new iPhone XR, iPhone X, iPhone XS, or iPhone XS Max on EIP and trade in a paid-off iPhone 6, iPhone 6 Plus, iPhone 6s, iPhone 6s Plus, iPhone 7, iPhone 7 Plus, iPhone 8, iPhone 8 Plus, or iPhone X. New customers must activate at least two new voice lines, while existing T-Mo subscribers must add at least one new voice line. Any voice rate plan is eligible with this offer. Once you qualify, you’ll get a one-time trade-in credit based on the Fair Market Value of your trade-in device. The remainder of the offer amount will be doled out via 24 or 36 monthly bill credits. This offer is also available at Costco if you’d prefer to get your new phone there. Customers who take advantage of this offer at Costco will need to buy their iPhone X, XR, XS, or XS Max at full retail price; trade in an iPhone 6, 6 Plus, 6s, 6s Plus, 7, 7 Plus, 8, 8 Plus, or X; and add either two voice lines for new customers or one voice line for existing customers. Rather than monthly bill credits, though, you’ll get a $750 virtual prepaid MasterCard to cover the cost of your new device. Translation: 30% or less than what you could actually sell it for. Considering what they have to pay to refurb, and have the phones sent back and all, 30% may not be *terrible* since they still warranty the refurbs. Again no deal at all ! Vzw also costs more if you don’t want to be instantly deprioritized, so they’re not a deal either. AT&T lies about having 5g (5ge != 5g*), and Sprint isn’t in great shape for most of the country. *I know TMobile called HSPA+ 4g way back when, and they were wrong too. To be fair, Verizon doesn’t cost *much* more.1 line of *truly* unlimited everything costs $95 at Verizon, $90 at T-Mobile . For their spectrum and the auctions they won. I recall TMo saying they were going to run their own backend to the Sprint towers, implying they just wanted the spectrum. How long do you need to keep line active as to not loose promo? 24-36 months. Get it at Costco if possible, then you keep it until you get the card. I am not seeing this deal at Costco. They currently show a credit of $390 on the Costco website and this promotion expires on 3/21. I am not sure if this promotion ($750 credit) is really offered at Costco. Can someone please find this deal through Costco? I have a Simple Choice 4GB per line family plan and I will qualify for this deal. If I qualify if I add a line, can someone please send me a link to the site that shows this deal is legit at Costco? It’s their opinion. iOS is a woefully underpowered OS that won’t maximize the A12 processor as much as folks may think. The iPhone can’t do multitasking like an Android or an iPad. iOS 11 was so bad that 12 had to fix it. The 828p LCD screen is trash though. The XS isn’t even worth it considering it’s barely better than an iPhone X. The XR screen looked too washed out to me and the brightness isn’t up to snuff w/ an OLED device. With the S10e being $600 at Costco, it’s so hard to even consider the XR since it’s just an overpriced product. They haven’t had great phone deals since they started the add a line/bill credit crap. Thank goodness for Costco w/ prepaid mastercards. Just called T-Mobile. The new line would only be on the physical sim, not the s-sim. That’s silly. All the other carriers will activate a number on an e-sim. Not sure why anyone would want an XR with the physical sim slot consumed by the primary number. I went to Costco yesterday and got this deal. I think this is a great deal if you qualify for it. I have a Simple Choice plan and I was able to add a line for $10/month. I bought a 64 GB White XR for $700 + Tax and traded in a white Iphone 6S Plus. I was told that T-Mobile will offer me $100 which will be added to my account as a bill credit in 2-3 months. The rest ($650) will be sent to me in the form of a rebate Mastercard in 2-3 months. I tried to sell my phone on Swappa and the highest offer I received was $180 (I would have to deduct $15 Swappa fees and pay at least $7 to ship the phone) for the phone, so I think this is a great deal. It’s like I am paying $30 and trading in a phone that can only get me $160ish for a new Iphone XR. People were trading in a bunch of Iphone 6 which I believe has a trade in value of $50 from T-Mobile. Like I said, if you have an iphone from the list to trade in especially the older iphones, this is a great deal. I was told the deal will expire yesterday which doesn’t make sense. Why would T-Mobile offer a deal on a Wednesday (3/20) and only have it for 2 days?